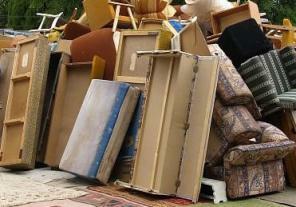 Whether it’s a single bulky item, the garden shed or a full house clearance. 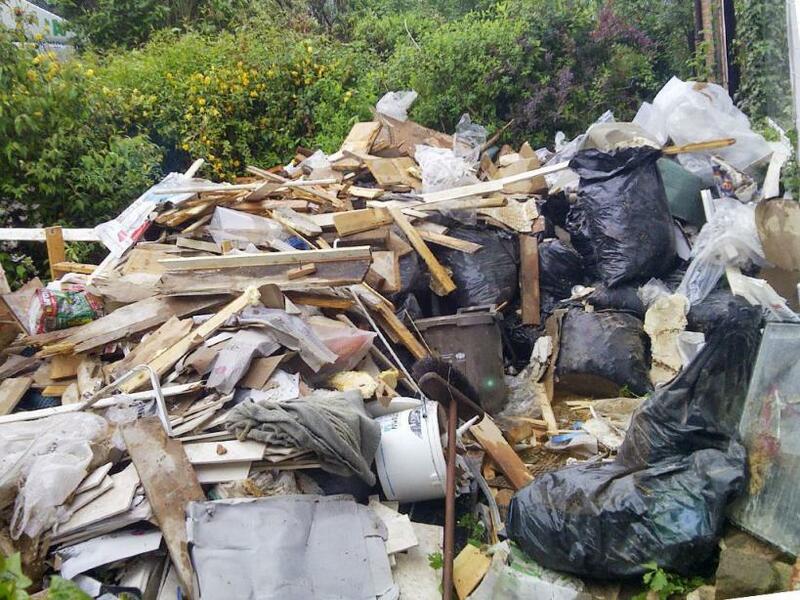 Take a picture of your rubbish and we'll send back a price and time today! 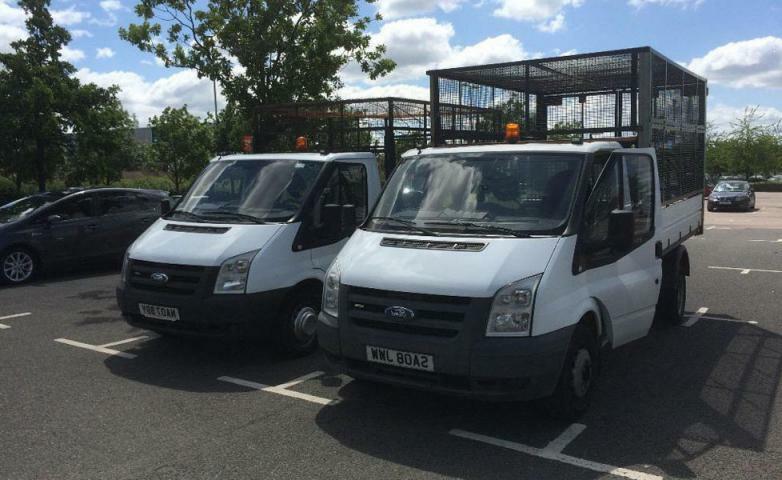 We have vans and lorries out on the road from 7am - 6am Monday - Saturday cover North, South, East and West Surrey. As a registered carrier, we follow reporting rules and compliance laws. You don’t have to worry about any unexpected fines from your Council. Many thanks to all of our 100s of customers who have sent in emails and texts supporting what we do. We hope to hear from you soon.. The lighter your items, the less you pay! Give our friendly staff a call on freephone 0800 138 9100 or book online to schedule a The Recycling People removal appointment, two hour arrival window that's convenient for you and a rough quote. Our clean and green truck team will call you 20 minutes prior to their arrival. 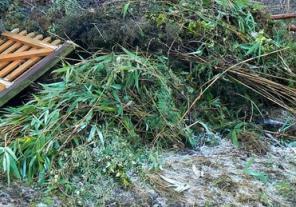 Upon arrival, our eco clearance team will assess the job and confirm the cost. Then you can sit back and relax while they start to load. You may notice that they sort what can be recycled from what cannot be. It might cost you a bit more but it far less than a fine for fly-tipping. Once the truck is loaded, we do a thorough sweep of the area. The Recycling People will then take the responsibility of recycling your junk in the most environmentally friendly manner. 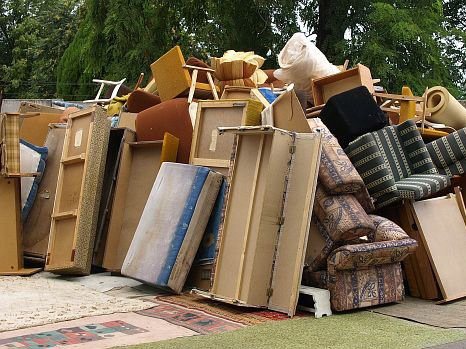 We will follow up with a courtesy call to ensure you are totally happy with the rubbish clearance, Junk removal or collection service we provided. We offer a cost effective and cheaper alternative to skip hire, our clearance trucks hold twice the volume of a skip and there is no need to go through the lengthy process of permits or permissions, enabling you to get the job done and your rubbish removed efficiently, cost effectively and quickly. View our recycling services. Our team recycles as much waste as they possible can, all junk collected will be sifted through to see what can be recycled or even re-used and what really has be put into landfill. We are a licensed carrier approved by the Environmental Agency. Over 80% of our customers have said that they would use us again, if that isn't enough for you read some of our most recent reviews. 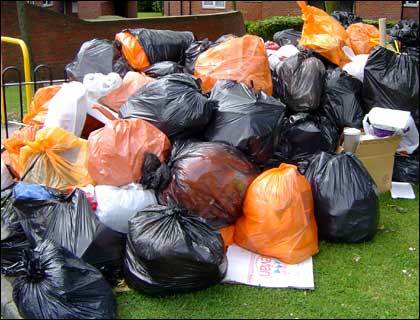 Number one for Rubbish Collection in Surrey and surrounding areas. Call us today and get your free quote over the phone, better yet send us in a picture of the waste you need collected and we can give you an accurate time as well. Back in the day the word 'recycling' was relatively unknown. 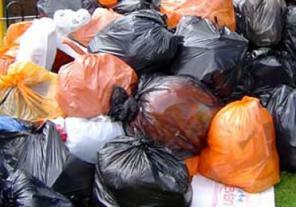 In today's environment recycling is almost the backbone of any waste management or rubbish disposal regime. 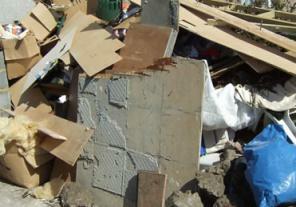 Almost any type of waste can be recycled including common things like glass and cardboard. We are approved by the Environment Agency, making it our job to recycle your waste. No job is too big or small. We make easy work of clearing any junk or rubbish, no matter where its located, tidy and sweep up, leaving the area all clear. Our two man teams are on hand to help. Check out our reviews. Most types of waste disposal/recycling.